What is the #1 Ingredient for Starting Your Own Business? If you're thinking about starting your own business, read on to see how you can get started making the dream a reality. This website all started with a passion. We all have a passion for something. Things we love to talk about, read about, think about, and do. My first passion is the Lord. Without Him, nothing else matters. Without Christ, life has no purpose or meaning. 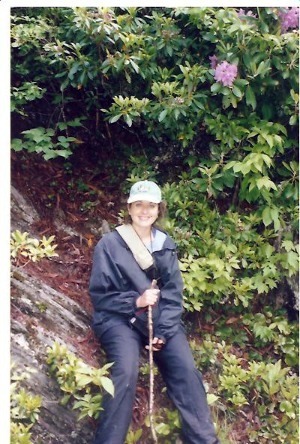 One of my passions, after Jesus Christ, is hiking. I love the adventure of a hike-not knowing all that I'll encounter. I love the challenge of hiking. To me, it's a goal to accomplish. Along with that passion was a desire to share my knowledge and experiences with others. I've also always wanted to make a living doing something I love. That's where Solo Build It! came into the picture. I was definitely skeptical at first. The more I learn about SBI! and how to build a business, the more I'm coming to know that SBI! is the real deal. It's not a get-rich-quick scheme that takes your money, leaving you no closer to having your own business in the end. SBI! is an all-inclusive business-building tool to make the dream of being an entrepreneur come true. SBI! is perfect for the beginner who doesn't know a nav bar from a candy bar! With SBI! starting your own business doesn't have to be a fantasy that will never happen. With SBI! my dream has become reality. Life's too short not to give it a go. Have you ever thought about starting your own business? Why not try out Solo Build It! for yourself? Want to Start Your Own Business? Look No Further Than Site Build It!